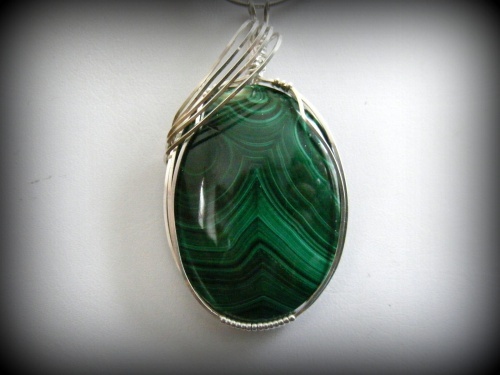 This Malachite beauty has waves of greens running through it midway down and on the top half obrs of greens. Very unique and even more gorgeous with the sterling silver swoop on the top front of the stone. Measures 2 1/4" from top of bail to bottom of gemstone and 1 1/4" wide. Comes with a sterling silver snake chain.